Twelve-year-old Hale Jordan has always wanted to grow up to be a superspy like his parents. But while he’s inherited their intelligence and resourcefulness, he’s inherited none of their physical abilities. His younger sister appears to have gotten all of that. Hale is completely focused on figuring out how to pass the physical tests to become a junior field agent of the Sub-Rosa Society (SRS). That is, until the day his parents don’t come home for dinner. Hale’s parents ALWAYS come home for dinner. Even when they’ve been sent on one of those super-tough top-secret field missions. Clearly, they’re in deep trouble. But no one in the SRS seems to care. Whatever trouble his parents have gotten themselves into this time, it looks like it will be up to Hale to get them out of it. I really enjoyed this book. It’s a marvelous blend of humor and intrigue, fast-paced action, surprising plot twists, and a modest, yet resourceful hero whose kindness and quick-thinking save the day. Even better, the ending leaves plenty of room for a sequel. This book is an excellent addition to any middle grade reader’s library. 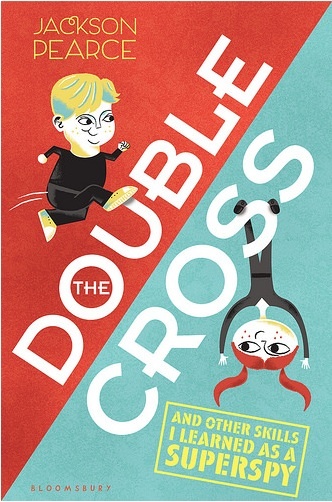 Disclosure: I received a free kindle copy of The Doublecross via NetGalley in exchange for a fair review.